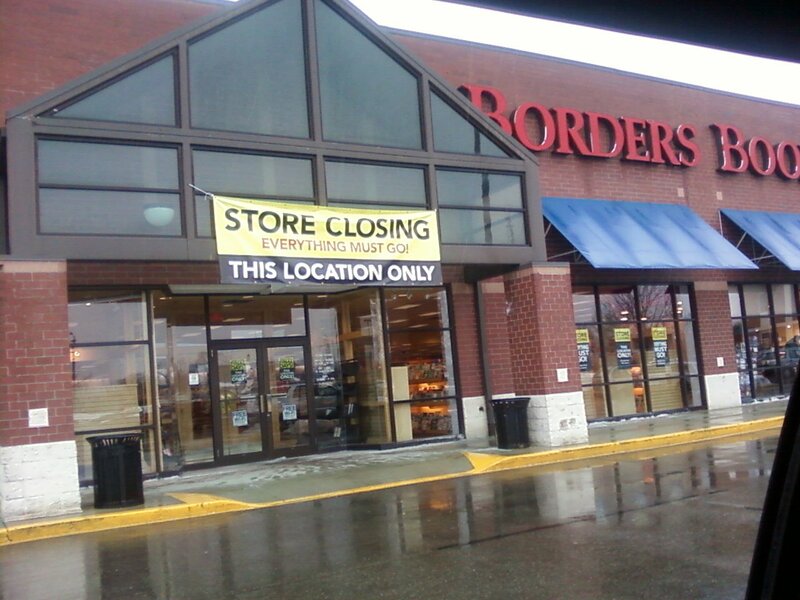 Pulled into this Borders in Fairlawn, Ohio today and saw the above sad sight. Borders, along with the other large chains and independent bookstores, have been hit hard by the economy and although I scored some books at 30% off, I would gladly rather see this store remain in business and pay full price for the items that I want. One day I wouldn’t be surprised to see 90% of the brick-and-mortar stores go by the wayside and the rest of the people that aren’t already buying their reading materials online to do so at that time. But for me, nothing will ever beat the feeling of walking into a bookstore, picking up the latest horror novel, reading the back cover blurb, the smell of the fresh printed paper or the look of excitement of those people that are true lovers of the written word. Today was indeed a sad day. Previous Post Cake Batter Promo Items – Now On Sale! Bookstores are really taking a thumping. And being a guy who doesn’t shop online, I think I’m going to end up left out in the cold by the end of the decade when it comes to book shopping … and shopping in general. I guess I’ll have to be dragged into the virtual commerce kicking and screaming eventually.